years’ in similar field with office work handling min of 1 .500 employees. knowledge (MS Office &: INTERNET) with site stored: admin works. 48,Navaketan,indl Estate,Mahakali caves road,Anderi (E),Mumbai-93, pH: 022 61084709/9167392721. Iam working with L&T at Oman oil&gas project in sr.civil engineer, past 10year the above field in oman and10years experience in India if any chance for me please call me. 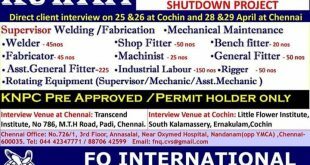 i am electrician working in chennai now 5 year expericiance…. I AM SHAIK KHAJA VALI I COMPLETED M.B.A MARKETING AND I HAVE 4 YEARS PHARMA MARKETING EXPERENCE IN INDIA CURRENT WORKING IN CIPLA LTD.IF ANY VANCANCY IN ANY WHERE IN GULF PLEASE LET ME KNOW. 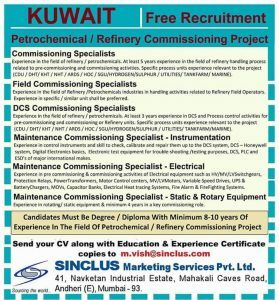 I am working now Dodsal engineering construction company (EWTIP project , North Kuwait, KOC client) last 14 months , I have 8 years experience regarding oil and construction company. 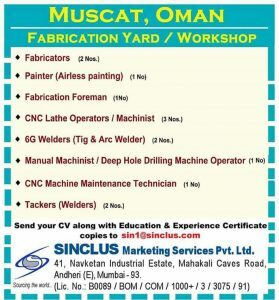 Iam working with Arabian supplies & contracting llc at Oman construction project in Quantity surveyor engineer, past 5 year the above field in oman and 3 years experience in India if any chance for me please call me. 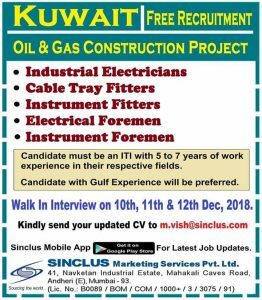 Iam working with Arabian supplies & contracting llc at Oman construction project in Quantity surveyor civil engineer, past 5 year the above field in oman and 3 years experience in India if any chance for me please call me. I am Sanil, residing in UAE with 15 years experience as Warehouse & Dispatch In-Charge in Manufacturing Industry. Worked as a Team Leader with all responsibilities like receiving goods from Production, Storing, Issuance, returns and well experienced in Oracle ERP software and also held the team for Annual & Periodical Stock counting. Hold valid UAE driving licence. 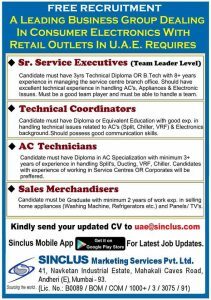 Pls consider me for the vacancies of Warehouse Manager/Warehouse In-Charge/Stores In-Charge/Stores Manager. Hi sir I am surendra Kumar from rajsthan . 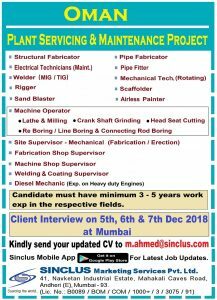 I have experience as a general foreman in Bechtel &enka company .and your old employee.please any releted job do you have inform me.i have 12 yr experience in gulf. My name is Sohail Bader & I want to apply for the post of Administrator. I am having total 15 years of experience in Hr Administration including 3 years of gcc experince. Help good morning sir.sir yesterday I come back Kazakhstan.i have a 12 years 6 months experience scaffolding field have scaffolding supervisor job please send me message.my WhatsApp I’d 8108073825.please have demand send me message. I am chapati & parotha maker from OMAN muscat . My 2years experieance from Al naba catering sarvicec . Please inform me any gulf coutry catering company.contuct no 8479842764.